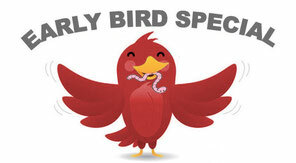 (+ certificate of attendance included)! 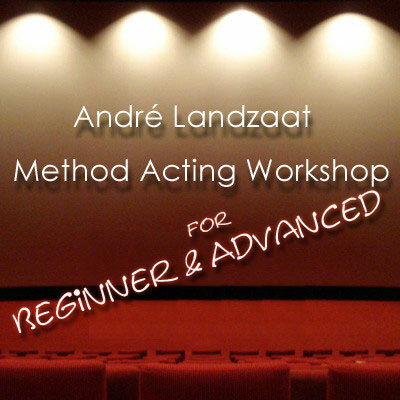 "My main purpose for the workshops is for you to find out where your strength lies as an actor. The same way Lee Strasberg taught me. Lee was best in observing people's behavior and went deeper with emotional freedom and imagination then anyone else. His results were extraordinary. Just witness so many of his students that have received an Academy Award. I will help you in the same way to free your acting instrument and emotions, to connect your voice with your body, to get rid of your blockage and inhibitions. To unlock the unconscious. To bring out the truth of who you are as a creative actor. To be able to use fully your inner life, subtext and impulses. Allowing you to be spontaneous and not to do the expected. Through relaxation and sense memory exercises, helping you to concentrate well in order to find the truth of humanity and bring true life on stage or on film. Just being natural is not enough. As great actors, you have to elevate the writers material, so that you can allow the voice and speech to color your own sensation, which will make you unique." The Method Acting workshop you can book here actually is usually a two days workshop. 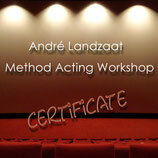 It will be held in English but André is also fluent in Dutch and he speaks a bit German and French. 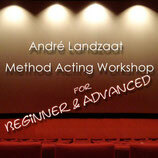 There will be workshops for beginners and for advanced actors all over Europe. If your city is not listed by now keep on checking for updates or just send us a request for your city or even another date. Also feel free to contact us for any further questions or collaborations or if you are interested in private lessons.